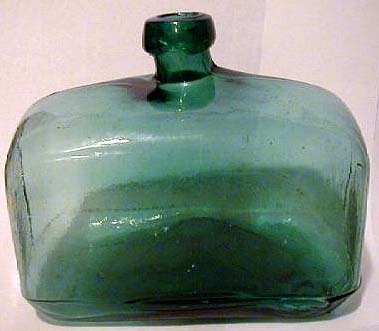 A demijohn is a very large bottle, sometimes up to 10 gallons in capacity. Most were handblown and some have pontiled bottoms. 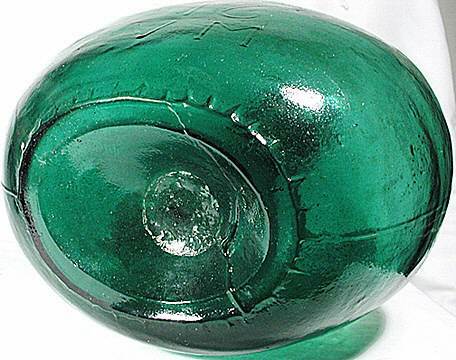 They were used as containers to hold wine, molasses, and other liquids. 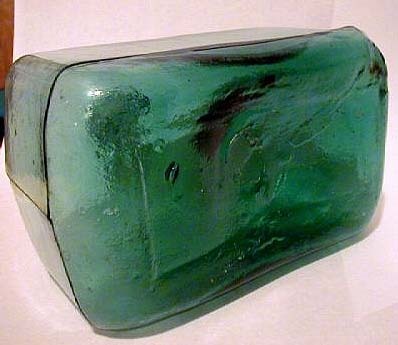 Common colors were olive green and aqua, while amber is rarer and cobalt blue the rarest color for demijohns. 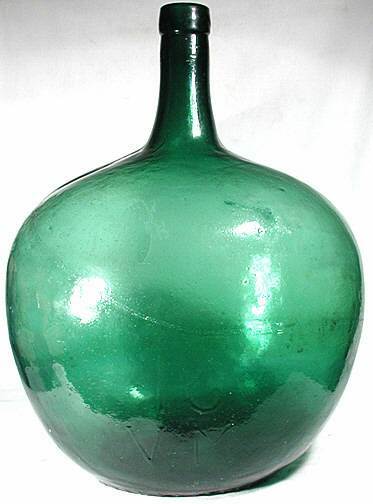 Green kidney-shaped demijohn with pontil base with "16VM" embossed above the base. Owned by eBay seller xsellr8. "Load of Bread" style demi-john with pontil base.